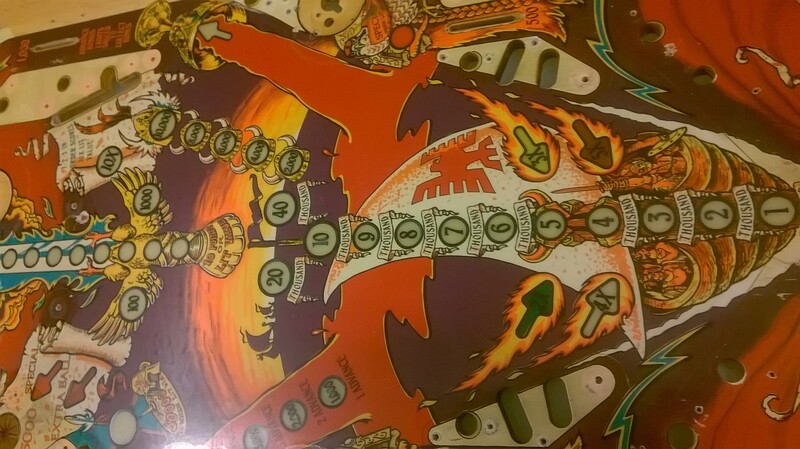 Talk about a freaking Classic Bally that is underappreciated, probably due to its relatively small production run. 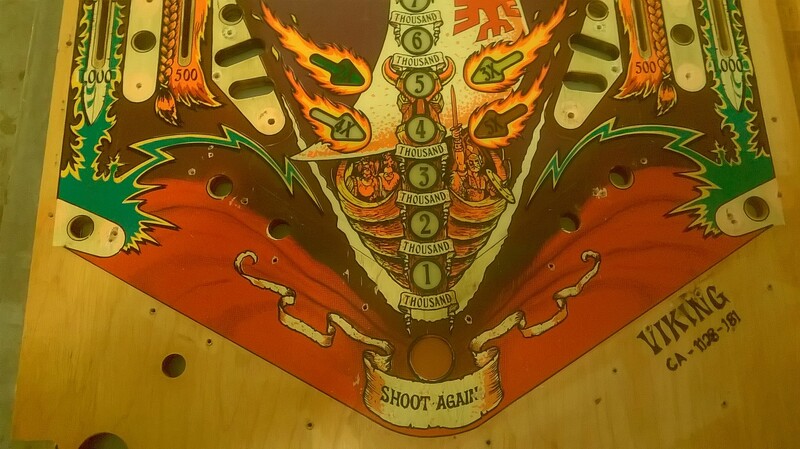 Art by Kevin O’Connor though really makes this game shine. 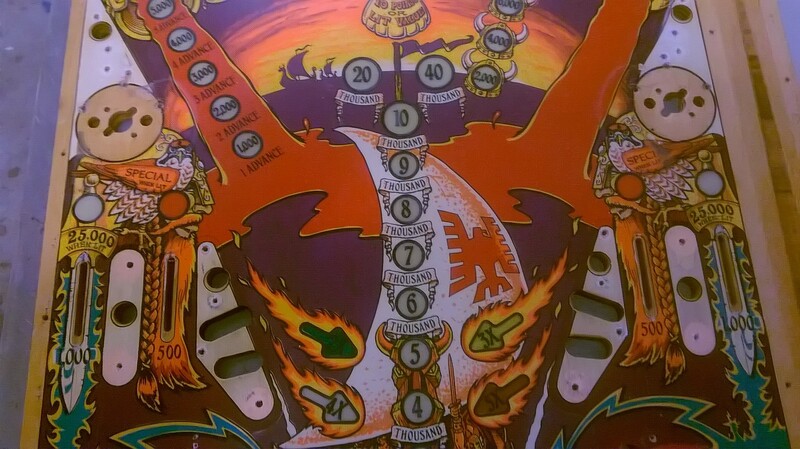 In-Line drops, a center spinner, bonus collect saucer, and outlane posts for nudge saves…this game really has a little bit of something for everyone. 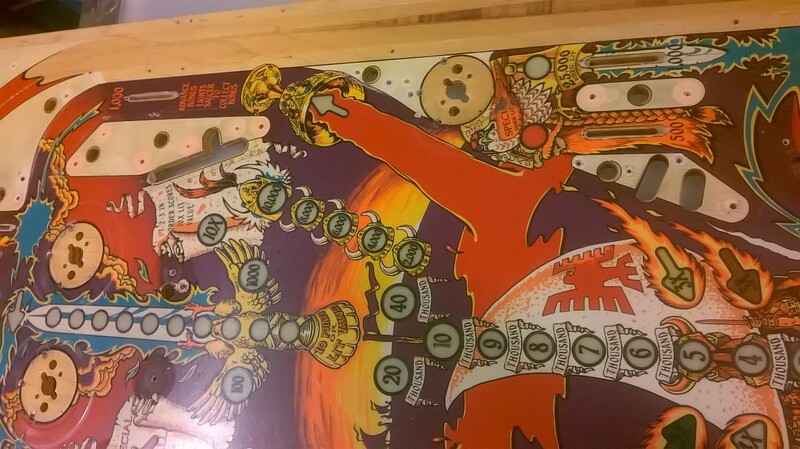 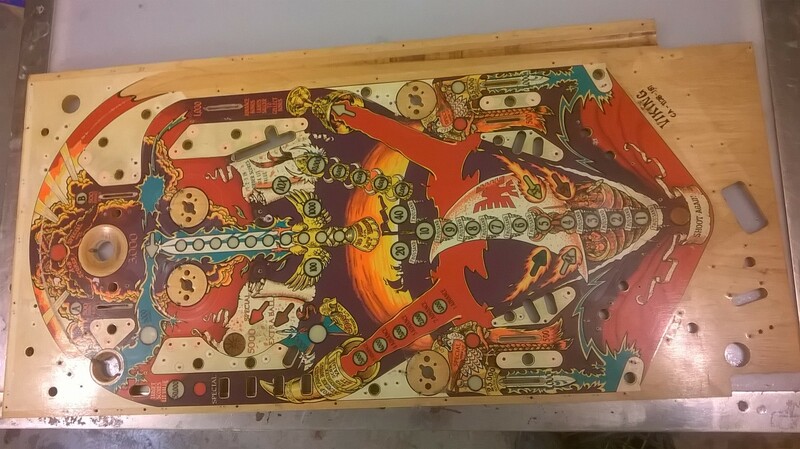 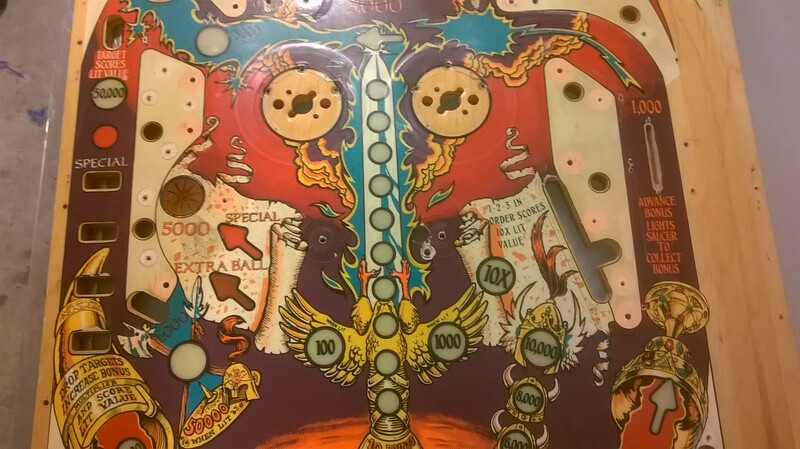 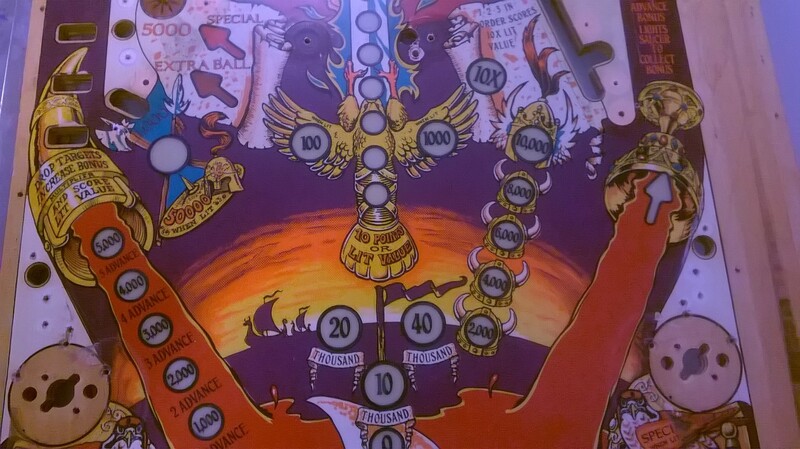 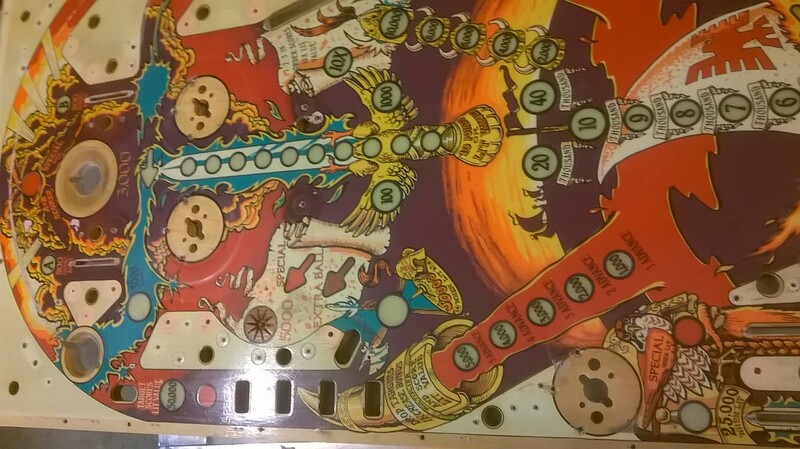 One of my favorite games from my personal collection get this used, but fully mylared playfield. 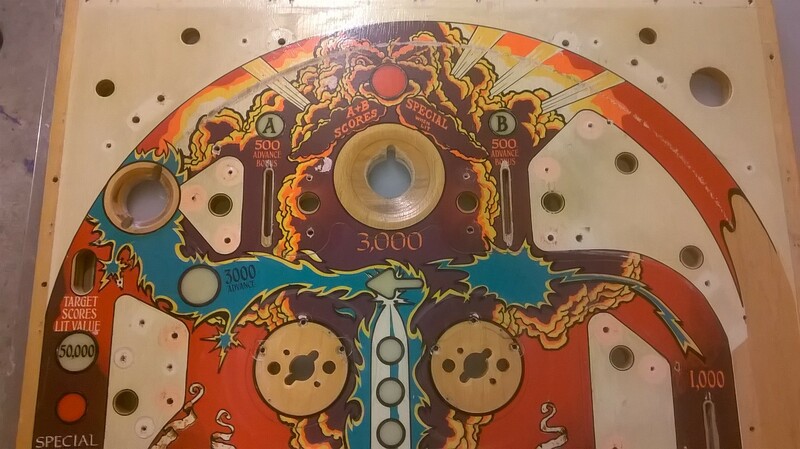 A great restoration candidate, or swap it in for yours as this game was typically played to death.